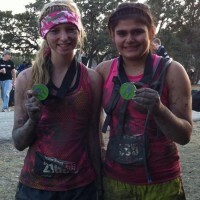 Home / Races / High Schoolers get muddy! During my weekend at Shale Hill Adventure Farms, I was stomping through the snow after my race, camera in my cold cold hands, when I got chatting to an equally cold looking photographer by the rock bucket carry … turned out, I was talking to Jen, one of the co-ordinator of the Spartan Race high school program. If you’ve looked around you recently, or watched this season of Biggest Loser on TV, you’ll know that the States has a childhood obesity program – so any program that encourages kids to get moving, get running and get active can only be a great thing – and we all know the co-operative and amazing nature of the sport of OCR – to instill those values in the kids of America is one huge muddy step in the right direction. I asked Jen to send me a bit of information about the program, and also wanted to remind you, dear readers – the noon heat of Sundays Spartan Sprint in Amesbury 2013 will be devoted to the high schoolers – if you’ve got a teenager (or close to it) – get them involved in this! The course will be the same course the adults race, they will also get points and prizes, including biggest team! 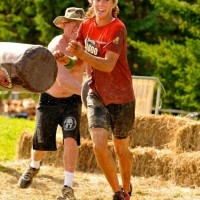 The Reebok Spartan Race High School Challenge is a teen only 12:00pm Sunday heat at select 2013 races. It allows young adults to run on the same course as the adults for a much smaller price. Also, from free workouts to a lifestyle and community of athletes like no other, Reebok Spartan Race offers a lot for all of us to better ourselves, and we want to provide this to our students as well. In 2012 we had our first High School Challenge. The race took place at the Vermont Beast in September. The students ran the first 3+ miles, turning at the dignified exit location for the last few obstacles before crossing the finish line. 164 students came to the start line and every single one of them crossed the finish line. My favorite part about being involved in the High School Program is seeing the students who do not typically enjoy or participate in athletics or sometimes even physical activity in any way, cross that finish line and feel the same sense of accomplishment as the rest of their peers. We presented at the VTAHPERD (Vermont Association of Health Physical Education Recreation and Dance) Conference and took part in the Vermont Principals Association Conference. We advocated making this a school sport and by the end of the Fall term, we had succeeded. I became involved while substitute teaching at Fair Haven High School in Vermont. I hold my Bachelors in Physical Education and Health and want to be a secondary teacher. Brett Blanchard, the Principal of the High School, was already speaking to Joe De Sena (Spartan Race CEO and Founder) about making OCR a school sport. Joe said make it work and Brett and I have been working together on this ever since. In 2013 our plans are to fill all six of our High School Challenge races which will then allow us to offer even more in 2014. We want to be a recognized sport in all 50 states, then move on to Australia and Europe. Spahtens can help by speaking to Principals, Teachers, Coaches, Students, and Parents about what obstacle racing is and what participating has done for them. Have the school hold an interest meeting and then share the Spartan Race motivation video. I can provide documents to show the involvement and impact it has done for students I have met across the country. This gives administrators unfamiliar with the sport the knowledge of how big of an impact it can have. If they have contacts with any media outlets who would like to speak about this program, that would be a huge help as well. 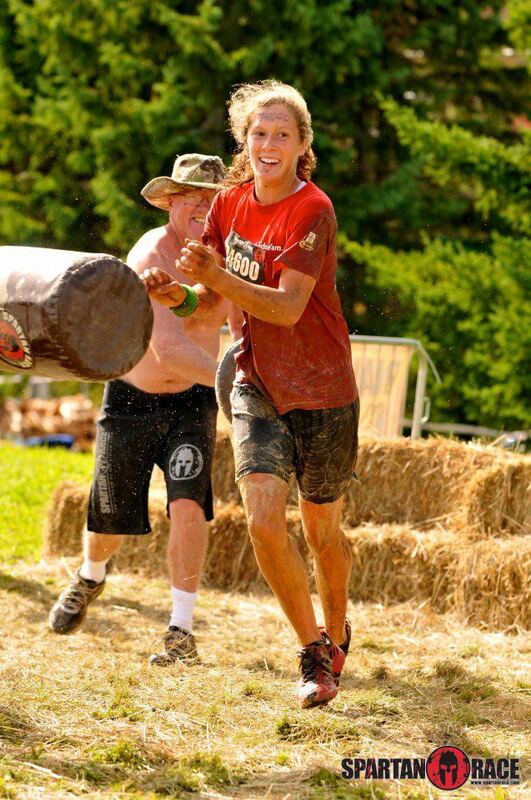 As Spahtens, we know anyone can participate in an obstacle race and the feeling it gives us to train and finish one. We also should know why Spartan Race is superior to any other race series. We all know you do not need equipment to train for one and through team work we can all finish a race. This makes incorporating a school club or doing exercises geared towards OR in P.E easy and absolutely affordable. It just takes one mentor to lead a group of kids and one race to change their view of fitness forever. Let’s get them as hooked as we are. You are the perfect spokesman for this cause. 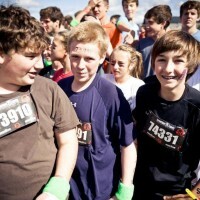 Spartan Race, Brett, and I want to see obesity a thing of the past. ; and we believe OCR is the sport to do just that! Previous post: Shirt orders are GO!